On frosty mornings, many people go searching for a cheap plastic ice scraper or use the edge of a credit card on their windshields. A more effective and elegant choice would be to pick up an Eva Solo scraper. 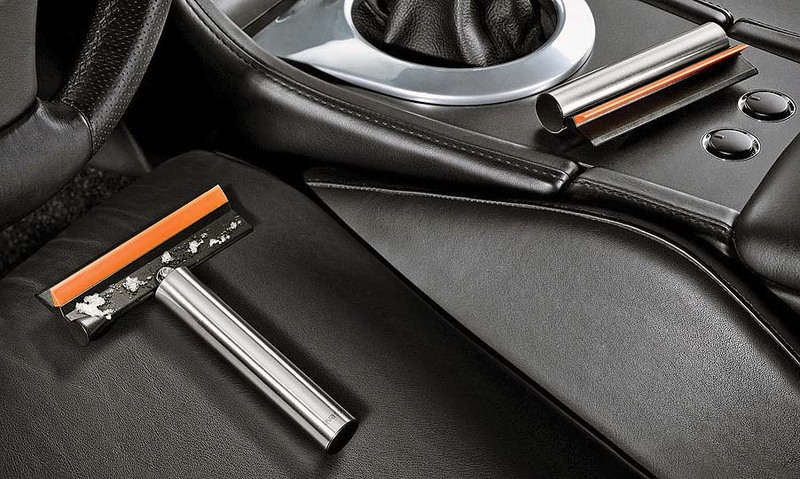 This Danish-design device folds up when not needed so it easily stores in your car’s glove compartment, door pocket or console. The Eva Solo has a stainless-steel handle with a hard plastic scraper on one side and a soft rubber squeegee on the other side for wiping away assorted grime. The Eva Solo retails for $35 through online resellers including www.amazon.com.